Feet of guy in sneakers jumping on a skateboard close-up. 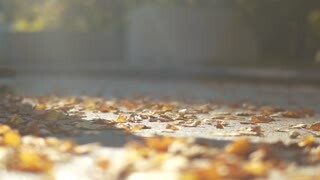 Skateboard on the background of fallen leaves in the sunlight. Hobbies and lifestyle. Close-up of legs in sneakers standing on a skateboard outdoors. Riding on a skateboard. Slow motion. Hobbies and lifestyle. Close-up of legs of guy doing trick on skateboard. 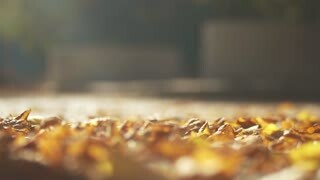 Male feet skateboarding on fallen leaves in the park. Skateboarder in white sneakers, dark jeans and a plaid shirt rides a skateboard to the camera. Riding on a skateboard outdoors. Slow motion. Hobbies and lifestyle. Skateboarder girl in a white hat and a plaid shirt rides a skateboard to the guy and hugs him in slow motion. Hobbies and lifestyle. 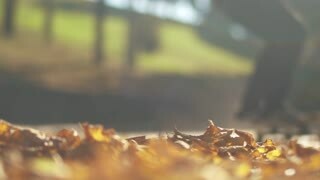 Skateboarder rides a skateboard on the fallen leaves in the park. Close-up. Male legs skateboarding outdoors. Slow motion. Close-up of skateboarder legs skateboarding utdoors. Skateboarder rides a skateboard on the fallen leaves in the park. Slow motion.